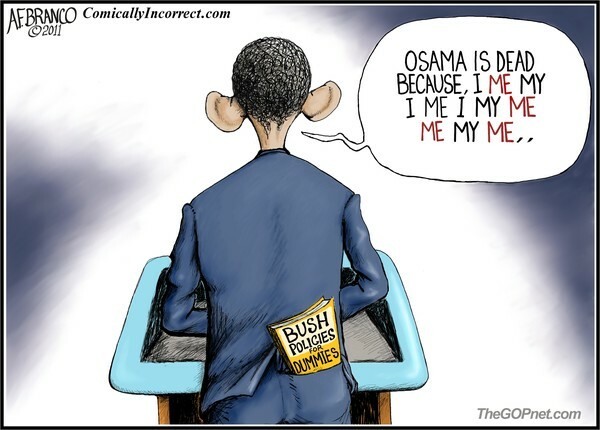 My hubby doesn't believe that osama is actually dead but is in hiding…..by obama. I must admit there are a lot of unanswered questions. Anyway, we love your work, good job! After all, it IS all about him, right? Artist Reply: Thank you for the comment!